Charity, music, fashion, gorgeous people - they all come together once a year for Macy's Glamorama, one of summer's hottest events. Tickets for this years Glamorama cost between $60-$1000 with proceeds going to Children's Cancer Research Fund, but with the help of Metromix Twin Cities, you can get yours for free! The Look Good, Do Good contest is the way to do it and here's how: "simply email your most stylish photo twincities@metromix.com and answer a few questions about your individual style and community involvement." The winning male and female will receive a pair of VIP tickets ($2,000 value). Wowza! VIP tickets include entrance to the official pre-party hosted by Children's Cancer Research Fund; priority seating at the Orpheum Theatre and entrance to the ARTlandish after-party at Macy's Minneapolis, including access to the VIP area. Nice, right? Now go an nominate somebody! 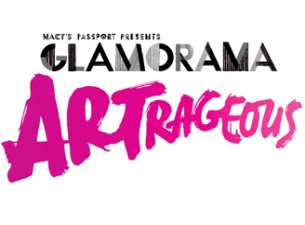 Macy's Passport Presents Glamorama is happening on Friday, August 5th at the Orpheum Theatre in Downtown Minneapolis.